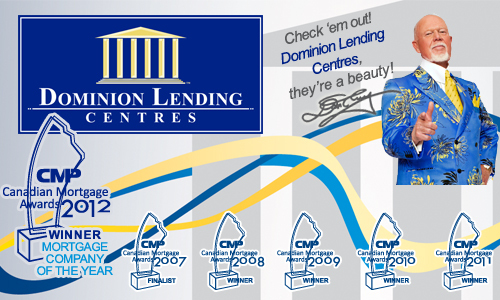 In early August, after the partnership with Don Cherry was announced, Dominion Lending Centres knew we needed to partner with a leader in both the TV Advertising and Production industries. As a result of some extensive research, we're excited to announce two leading partnerships! I just received your lovely card! It was very thoughtful. It’s so nice to be appreciated. We received the funds on this one for our client today and the strata corp is very pleased. So am I! 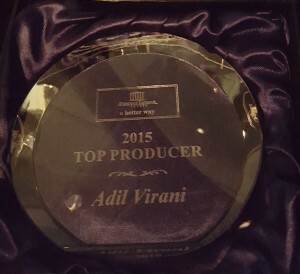 Keep up the good work Adil! 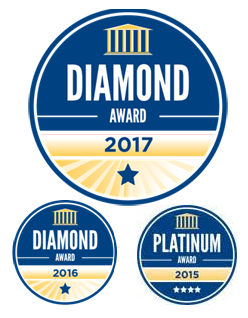 In dealing with Adil Virani when he was assisting my mom in obtaining a mortgage we found him very helpful in various aspects. 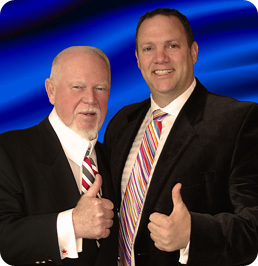 He was totally pleasant to deal with and great in keeping us up to date on the status of the mortgage process. Everything was explained thoroughly and clearly to us. Any concerns were put to rest and dealt with promptly. The whole process went smoothly. 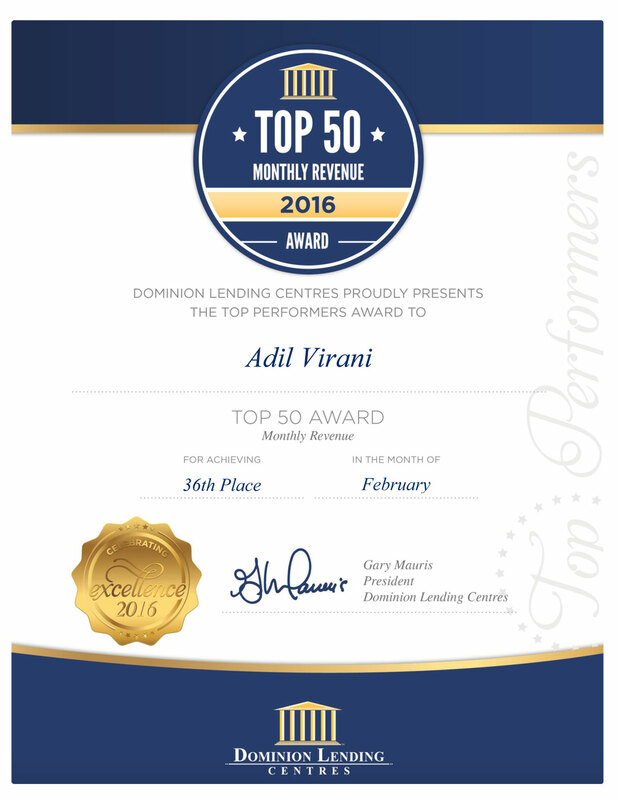 I highly recommend choosing Adil Virani as your mortgage broker he will make your life easier at a time when you are anxious and making a major purchase in your life. Thanks Adil and Erin. You’ve made a complex process easy and straightforward us. Appreciate your quick turnaround on everything. 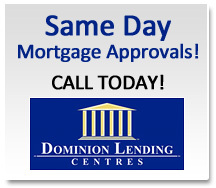 I had never experienced the kind of support in getting mortgages, from any one else. You guys are excellent in helping desperate persons like me in getting mortgage financings. I will definitely recommend to my friends and any one in future to having your services. I really appreciate all the help in walking me through the mortgage process. Adil and his team were one of the most knowledgeable, if not the most knowledgeable in the area. As you might have guessed, because of the quick closing date, I just went with another bank for the 1 year fixed. This gives me a bit more time to evaluate mortgage options next time when my head isn’t wrapped up worried for the quick closing date. It was definitely a coinflip between your 2 year rate and the other 1 year. Somebody else offered me the same 2 year rate as yours, but you would’ve been my choice had I gone for 2 year. Again, thanks for all the help Adil. Since it’s only a 1-year term, hopefully we can work together in the future. I haven’t got anything but good or great things to say about Adil. I feel very lucky to have met him not only is he professional but caring and generous . Always making you feel important, no matter how trivial a question is, even being as busy as he is, he will handle the smallest of concerns promptly. I will certainly recommend him in every opportunity that presents it self. …And finally, thanks for all your help with navigating the house buying process – the Canadian system, the private sale and the process of getting a mortgage without permanent residency. We really appreciate the time that you took to explain it to us. Thanks for working on my requirements with regards of the financing matter. I would like to say with Adil and his team I’m feeling very confident and I have a better view for developing of my business to be faster. I will definitely recommend my friends and business partner to use his services. Thanks again for all your works and efforts which you have done for me so far. Just wanted to say a big THANK YOU for your help in getting us our home. You were awesome and extremely patient with us. 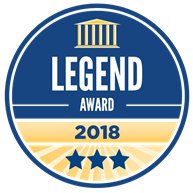 “Adil, THANK YOU SO MUCH for finding me the best mortgage possible and handling the transaction in such an efficient/profesional way. 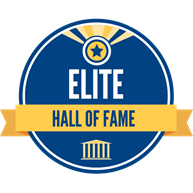 as he is incredibly professional, patient, very courtesious and most of all, he truly has his customer’s best interests in mind. It was obvious with everything he did for me. I will absolutely recommend Adil to anyone I know. He is outstanding!! 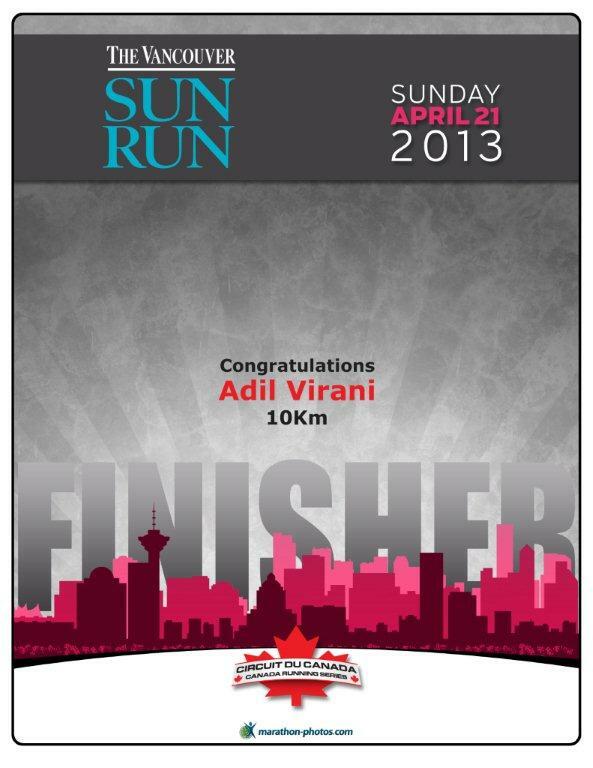 Congratulations Adil! 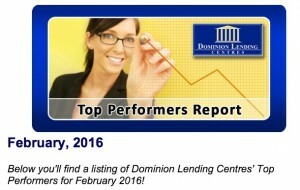 on placing in the Top 50 “Volume of Mortgages funded by a broker” category for the month of April! We are pleased to present you with the above certificate. 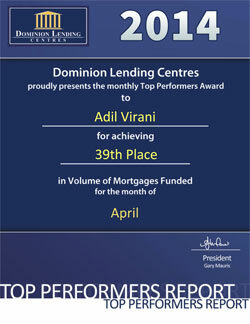 Adil J Virani has been a successful and well-respected broker in the industry for over 19 years. Adil's knowledge and dedicated contribution is one the reasons to put your trust in him to find the best mortgage or re-financing solution. 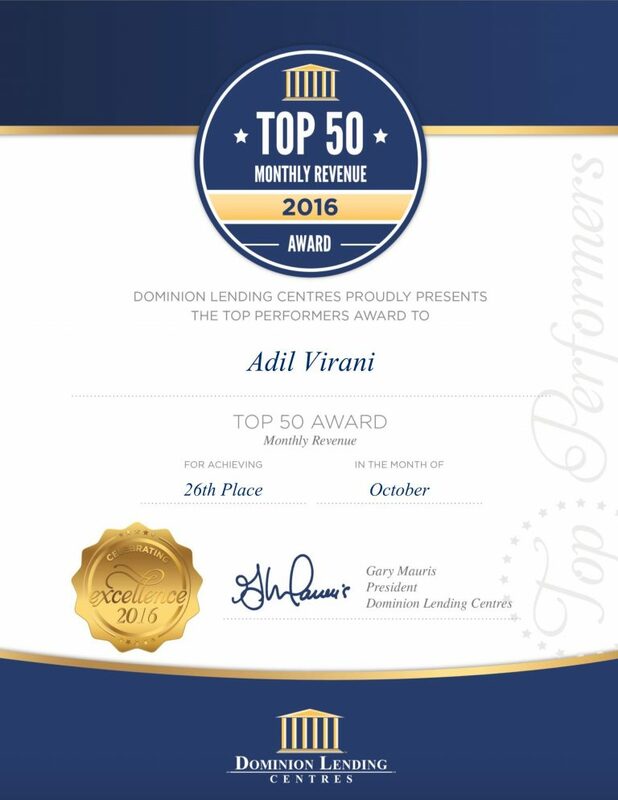 Click here to read more about Adil or Contact Adil Virani now at adilvirani@shaw.ca to find your perfect mortgage solution.